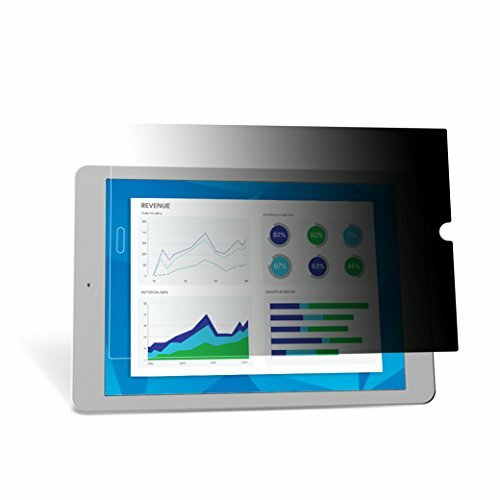 The thinnest Privacy Filter from 3M helps keep confidential information private. Provides an optimized viewing experience for high resolution displays, and is designed to fit your Microsoft Surface Pro 3 / Pro 4 screen. 3M Privacy Filters blackout side views quickly, delivering privacy and helping keep visual hackers in the dark. The thinnest Privacy Filter from 3M allows consistent, high-quality touch responsiveness for your device. Designed with advanced micro replication technology, creates an excellent viewing experience on your high resolution display.